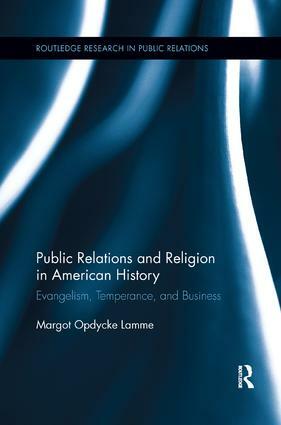 This study of American public relations history traces evangelicalism to corporate public relations via reform and the church-based temperance movement. It encompasses a leading evangelical of the Second Great Awakening, Rev. Charles Grandison Finney, and some of his predecessors; early reformers at Oberlin College, where Finney spent the second half of his life; leaders of the Woman’s Christian Temperance Union and the Anti-Saloon League of America; and twentieth-century public relations pioneer Ivy Ledbetter Lee, whose work reflecting religious and business evangelism has not yet been examined. Observations about American public relations history icon P. T. Barnum, whose life and work touched on many of the themes presented here, also are included as thematic bookends. As such, this study cuts a narrow channel through a wide swath of literature and a broad sweep of historical time, from the mid-eighteenth century to the first decades of the twentieth century, to examine the deeper and deliberate strategies for effecting change, for persuading a community of adherents or opponents, or even a single soul to embrace that which an advocate intentionally presented in a particular way for a specific outcome—prescriptions, as it turned out, not only for religious conversion but also for public relations initiatives.